At Hammerhead Offroad, our dedication to quality and performance allowed us to make our GTS 150 go-kart the best selling in the nation. Given that the GTS has more standard built-in features than any other go-kart in its class, you can see why it’s a machine we’re especially proud of. That being said, our GTS Platinum Edition manages to take everything great about the GTS 150 with even more advanced features added on. The result is an all-around more powerful and resilient machine for even the most challenging off-road conditions. Our Platinum Edition of the GTS is fitted with high-performance nitrogen gas shocks, allowing drivers to tackle the most rugged terrains without sacrificing top-tier performance. The brushed aluminum wheels also give it an additional curb appeal over the original GTS model. The digital speedometer and 12-volt electrical outlet provide a sleeker modern edge that stands out from other comparable karts. Standard features such as dual headlights, horns, all-wheel fenders, and a canopy top have all been maintained as well. Another useful improvement is the implementation of four-wheel braking, which allows for a greater degree of control and performance. All of this with the same great engine and design the GTS 150 is known for. With an all-around package like this, it’s our hope the GTS Platinum Edition will delight any and all fans of off-road go-karting. 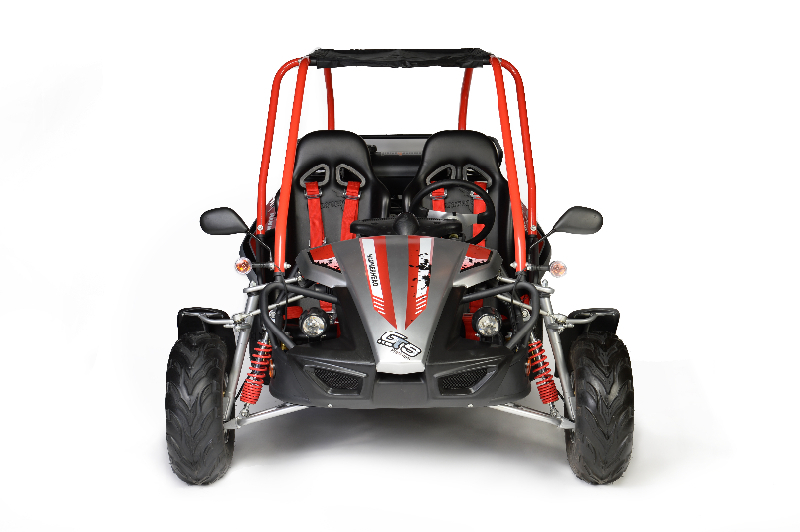 At Hammerhead Offroad, we’re inspired to provide go-karts with the quality and craftsmanship that exceed expectations. By making the GTS 150 a consistent top seller, we’re inspired to go above and beyond to make a machine with even more for off-roading fans to love. Visit us here to learn more about our family of vehicles and see how we continue to push the limits of what a standard off-roading go-kart can be.